Hailed by Opera News for her “potent presence” as Mrs. Clemm in Argento’s Voyage of Edgar Allan Poe, lyric mezzo-soprano Soon Cho has gained recognition as a versatile performer. As a recitalist, chamber musician, oratorio and concert soloist, and equally at home on the opera stage, Ms. Cho began her professional singing career under the batons of world-renowned conductors such as Alan Gilbert, Kristjan Järvi, Paavo Järvi, Erich Kunzel, Julius Rudel, Mischa Santora, and David Zinman. Deeply committed to education as an artist teacher, Ms. Cho joined the voice faculty at Texas State University in 2014, having taught previously for seven years at Baylor University. She is also on the faculty at Cornish-American Song Institute, a three-week intensive study of Art Song in Oxford and Falmouth in England. As Dido in Purcell’s Dido and Aeneas, Cincinnati Post praised her performance as “regal in bearing, with vocal endowments to match. The tears were listener response to her heart-wrenching performance of When I Am Laid in Earth.” Opera credits include Costanza in Haydn’s L’isola disabitata with New York Philomusica, Komponist in Ariadne auf Naxos at the Seongnam Arts Center in Korea, Mao’s 2nd Secretary in Nixon in China with Cincinnati Opera, a “delightfully melodramatic” Dorabella in Cosi fan tutte with the CCO and at the Astoria Music Festival, Adalgisa in Norma with Opera in the Heights, Mercedes in Carmen with Dayton Opera, Zita in Gianni Schicchi at the Opera Festival of Lucca with a repeat performance at the 50th Puccini Festival in Torre del Lago in Italy, Mother Goose in the National Public Radio broadcasted performance of The Rake’s Progress with the Aspen Music Festival, La Pucelle in Belladonna (world premiere) with the Aspen Opera Theater Center, Hansel in Hansel and Gretel at College-Conservatory of Music in Cincinnati (CCM) and Houston Grand Opera’s Opera-to-Go, L’Enfant in L’enfant et les sortileges, Mother Marie in Dialogues of the Carmelites, Hermia in A Midsummer Night’s Dream, and Vera Boronel in The Consul. 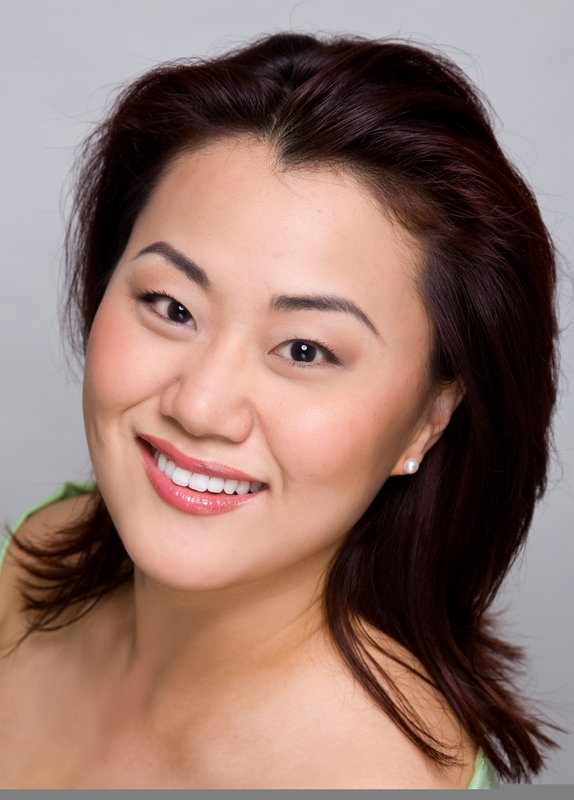 Ms. Cho has sung with many young artist programs, including Cincinnati Opera Young Artist Program, Dayton Opera Artist-in-Residence, Seattle Opera Educational Outreach Program, Houston Grand Opera’s Opera-to-Go, and the Aspen Opera Theater Center. On the concert stage as a mezzo-soprano soloist, Ms. Cho has performed Verdi’s Requiem with the Honolulu Symphony Chorus, Mahler’s Kindertotenlieder with the Breckenridge Music Festival Orchestra, John Rutter’s Feel the Spirit with the Valley Symphony Orchestra and Chorale, Beethoven’s Choral Fantasy with the Cincinnati Symphony and May Festival Chorus, A Salute to Opera with the Cincinnati Pops Orchestra at the Riverbend Music Center; Berlioz’s Les Nuit D’Eté with Opera Philharmonic of Bourgas in Bulgaria, Handel’s Messiah with Pilgrim’s Chorus and Orchestra in Canada, Bach’s St. John Passion with Vocal Arts Ensemble and Cincinnati Chamber Orchestra, St. Matthew Passion, Magnificat; Falla’s Three Cornered Hat and Mahler’s Symphony No. 2 with CCM Philharmonia Orchestra and Combined Choruses, Mozart’s Requiem at St. Peter in Chains Cathedral, Rossini’s Pettite Messe Solennel, Saint Saëns’s Messe, and Vivaldi’s Gloria. Chamber music highlights include “both sensual and jazzy…especially captivating” Midwest premier of Jake Heggie’s Times of Day for mezzo-soprano, violin, cello and piano at the Grandin Vocal Chamber Music Festival and Bernstein’s Arias and Barcarolles for mezzo-soprano, baritone, and four-hand piano at the Art Song Symposium. An advocate of new music, Ms. Cho recorded composer Michael Fiday’s Protest Song on Innova Records and performed Scott McAllister’s Screaming Azaleas with Emanon Ensemble at the Ghent New Music Festival in Belgium. As a recitalist, Ms. Cho has performed on the Les Arts George V Recital Series in Paris, Ghent Conservatory of Music and Ostend Conservatory of Music in Belgium and all around the U.S.
Recording credits include Michael Fiday: Same Rivers Different with Innova Recordings label, Menotti Arias for Mezzo-soprano with Hal Leonard Publishing, Haydn’s L’isolda disabitata with NY Philomusica Records, and Meehan/Perkins Duo: Restless, Endless, Tactless with New World Records. Published journal article credit includes “A 2011 NATS Intern’s Perspective” on nats.org. Ms. Cho’s students have been accepted for graduate studies in vocal performance at University of Michigan, San Francisco Conservatory of Music and Loyola University. They have gained acceptance into and attended opera training programs at Opera Training Institute of Chicago, Opera Works Advanced Artist Program, Cincinnati-Conservatory of Music Opera Studio, Houston Grand Opera’s Opera-to-Go, CoOPERAtive Young Artist Program, and numerous international summer opera programs. Her students consistently place in the finals at the Texoma Region NATS Student Auditions. Ms. Cho received both her Doctorate of Musical Arts in Voice and Artist Diploma in Opera from the University of Cincinnati, College-Conservatory of Music (CCM) working with Barbara Honn. Doctoral cognate fields were in Vocal Pedagogy and Opera Stage Directing. Ms. Cho received M.M. from the Shepherd School of Music at Rice University working with Dr. Joyce Farwell, and B.A./B.M. from University of Washington working with Carmen Pelton. As a scholarship recipient for five consecutive summers, Ms. Cho studied with W. Stephen Smith at the Aspen Music Festival. Additional voice teaching training include 2011 National Association of Teachers of Singing (NATS) Intern Program under the tutelage of master teacher Dr. Christopher Arneson of Westminster Choir College of Rider University, Songfest Mentor Program in 2013 at the Colburn School in Los Angeles, and annual voice teachers seminars with master teachers Barbara Honn held in San Diego and Dr. Joyce Farwell held in San Marcos.